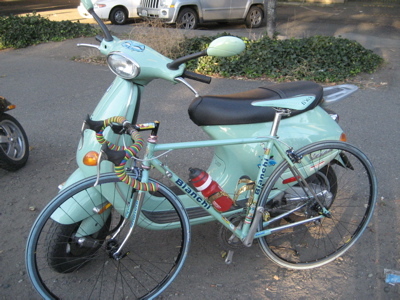 The oldest bike in my stable is a 1996 Bianchi EL/OS. I had a lot of luck with that bike. During some hard times I sold the bike, only to buy it back a couple years later. As much as that distinctive aqua colour known as “celeste” has been associated with the Milanese company founded by Eduoardo Bianchi in 1885, so too has celeste become inextricably linked to cycling in my mind.